Comedian and host, Charlie Wilson, was born and raised in Shreveport, Louisiana. He was always involved in acting, drama, and public speaking at school and in church. He attended LSU, while working two jobs. At some point during his life, he moved to Dallas, Texas with his high school sweetheart. While he was there, he auditioned for various stage plays and continued down the path or arts and entertainment. After two years of acting in these plays, one day he was joking around on stage and was asked has he ever considered comedy. He never thought about it up it to that point. This was the start of his pursuit as a comedian. After many years of being together, Charlie and his high school sweetheart had given birth to a little girl (who was born with sickle cell). Shortly after, Charlie decided it was time to get married and make a full commitment to his family at the age of 23. Two weeks after they wed, their daughter passed away. This was a very difficult period in both of their lives, and they responded differently to this unfortunate circumstance. While she moved closer towards God, Charlie moved forward with things in a negative capacity. One day his wife decided she wanted a fresh start and thought it would be a good idea to move to New York. Charlie however, didn’t think that would be a good move for him. He felt that he was too much into his career and also a cars salesman. So he told her to leave if that’s what she wanted to do. After being without her for several months, Charlie had time to think. Before they decided to divorce and put their whole marriage to rest, he wanted a fresh start. He moved to New York with her. And they built together. They struggled while living in NYC, but they were able to overcome. They are still married and now have another daughter, who is two years old. A month after being in NY, Wilson did an open mic and that was the start of his new journey. He was then told by the manager of the establishment that he did well and could do a one man show. One night after a show, one of the audience members wanted to talk to him about a talk show. He shot a pilot for a daytime show. This is where Charlie Wilson TV originated. The woman in charge of the daytime show passed six months ago. However Wilson kept the name as he continues to pursue his career. He’s had many accomplishments, such as: opening up for various people, Shaq’s All Star Comedy show, starting his online show, as well as hosting many showcases. Although the journey wasn’t all easy, Wilson has embraced his process, continuing on. I had the pleasure of interviewing Charlie Wilson. He kept me laughing all the while sharing his life and his journey. Below are a few highlights of the interview. Miss Jones: How long have you been in this industry? Charlie Wilson: I’ve been doing this for about four years now. Miss Jones: Where does your material generally come from? Charlie Wilson: It comes from life experiences, and I turn it around into something funny. I make it relatable according to the scenery. MJ: What were some of the mistakes you made in this business? CW: I would say, moving a little too fast. I was trying to produce shows and my budget was a little too much I know there’s money to be made, but not initially. Ultimately, my mistakes were losing my focus and moving too fast. MJ: What were your biggest struggles? CW: Trying to get people to know who I was. I know I have the talent and ability, but in NYC trying to build your name, it can become a little difficult. Trying to have a crowd and an audience is tough. Instagram and Twitter is one thing, but having people show up is different. Trying to build a loyal following is hard, but you can’t let that slow you down. You have to stay focused and consistent. And act like its a full house every time. MJ: What was your biggest accomplishment? CW: my first national TV appearance in the Wendy Williams show, a year ago. Someone reached out to me and let me know about the street talk segment and I was able to be apart. It was great because my family who can’t see me often was able to see what I’m doing. It showed that I’m not just talking about it, but I’m actually doing it. CW: I want to have a platform doing what I love to do. I was to be able to inspire others through this as well through the power of influence. I want to be able to build for myself, then step into a middle school and encourage and empower this next generation. MJ: What advice would you give to others? CW: really find out if this is what you want. Always stay focused and embrace your process. It’s easier to accomplish things when you don’t allow the low moments to overtake you. Many people want to do this because it’s a trend, but are you really willing to sacrifice and go without. 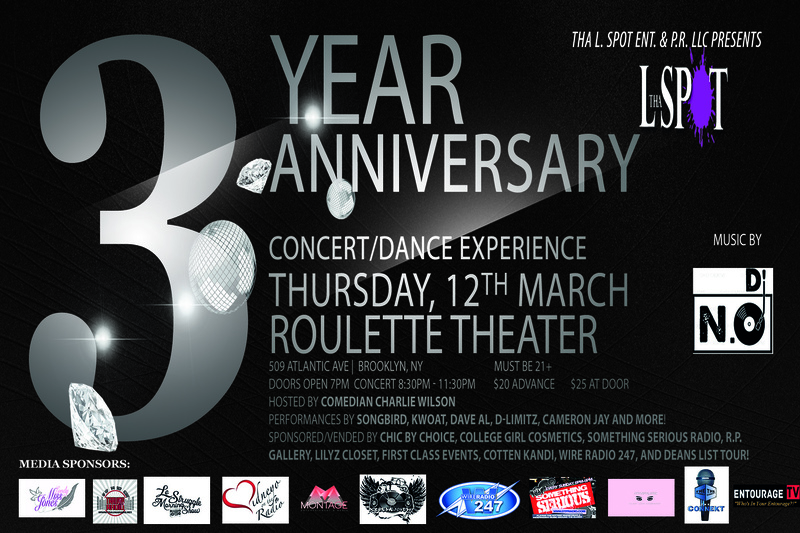 Be sure to check Charlie Wilson out as he hosts Tha L. Spot’s 3 Year anniversary at Roulette Thearter in Brooklyn, Thursday March 12th. To stay up to date with this funny guy, check out his networks. Instagram and Twitter @charliewilsontv and visit his website, charliewilsontv.com! 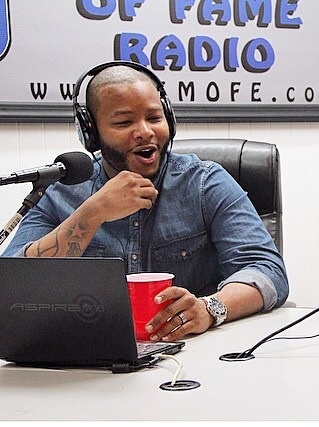 You can also check him every Wednesday night from 9-11pm on his radio show, streaming live on 15moferadio.com. He’s in the move and has many events coming up soon!